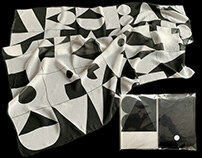 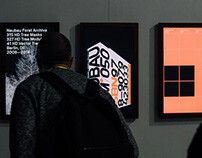 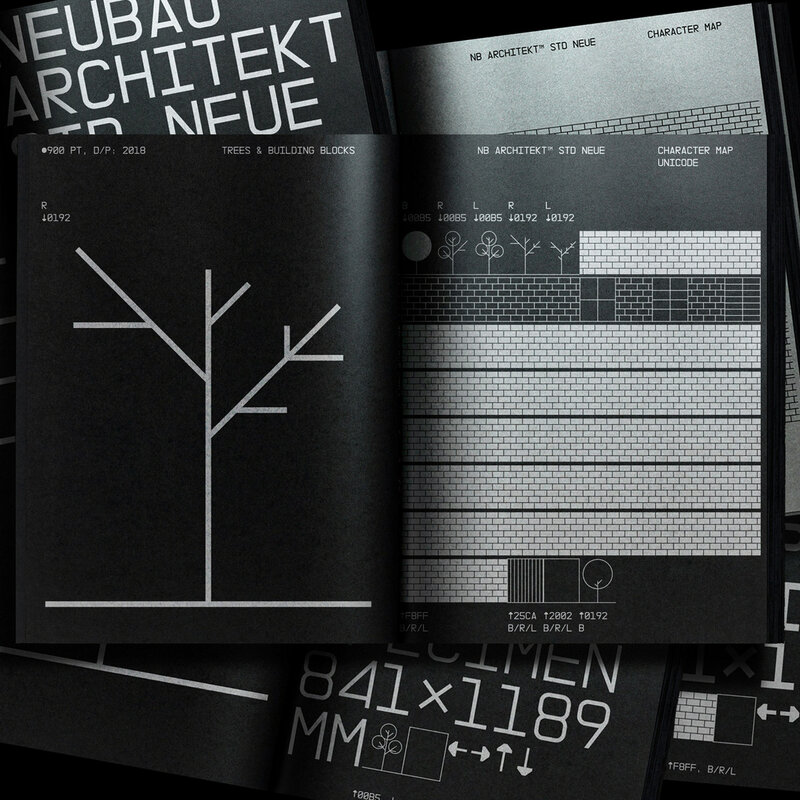 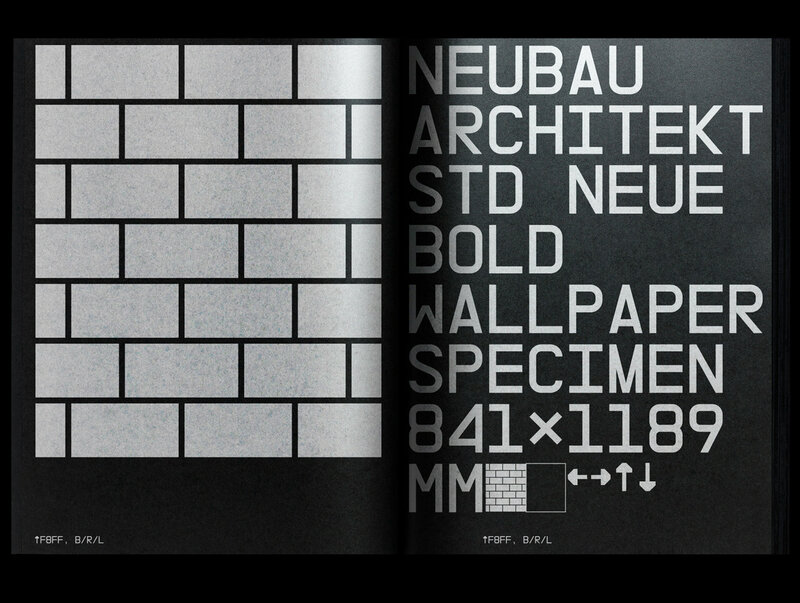 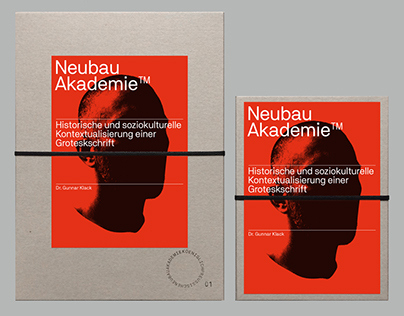 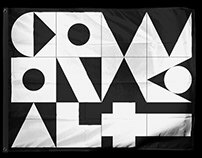 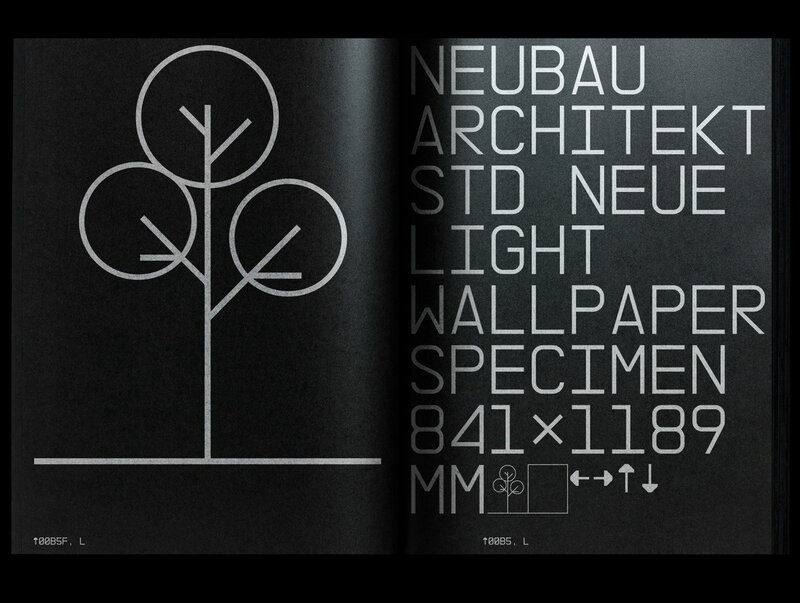 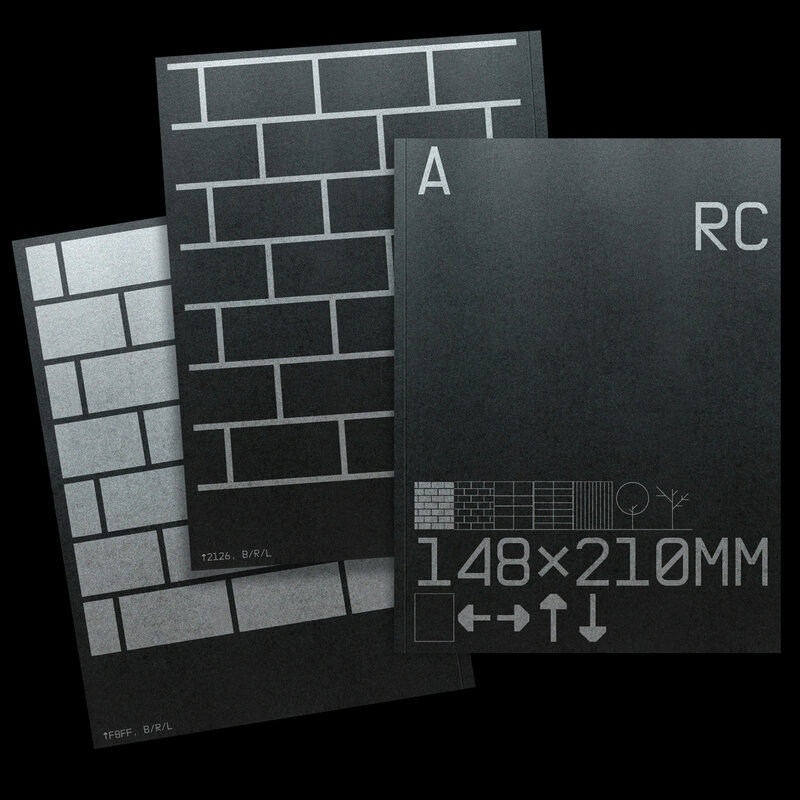 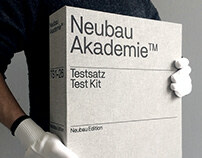 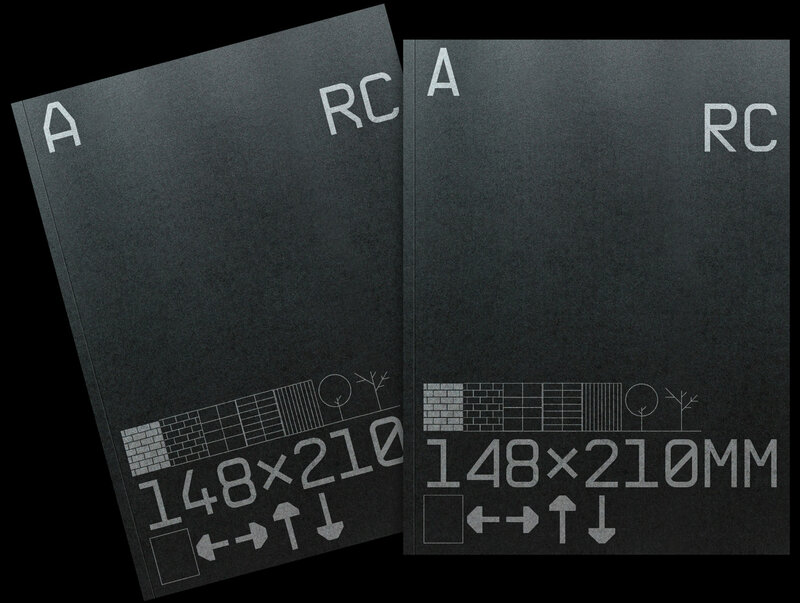 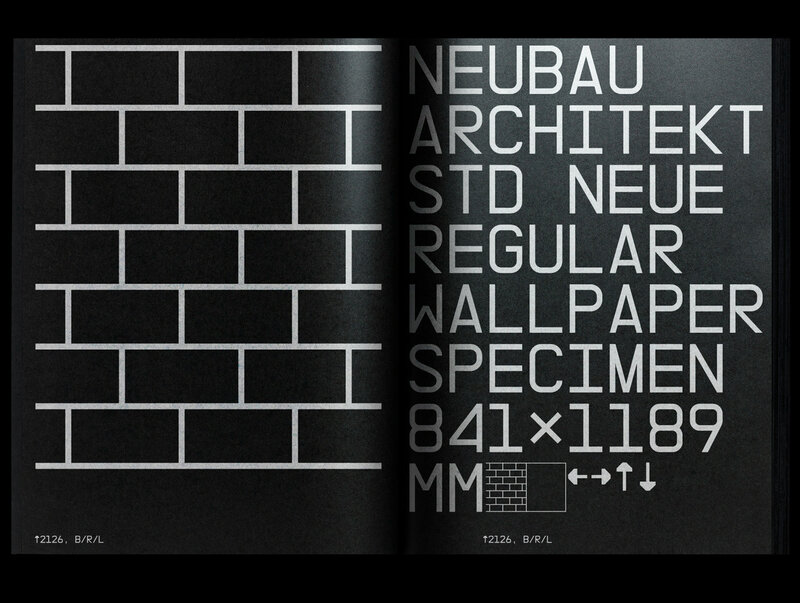 NB Architekt™ pays tribute to typefaces used on architectural construction plans during the ‘Letraset’ era. 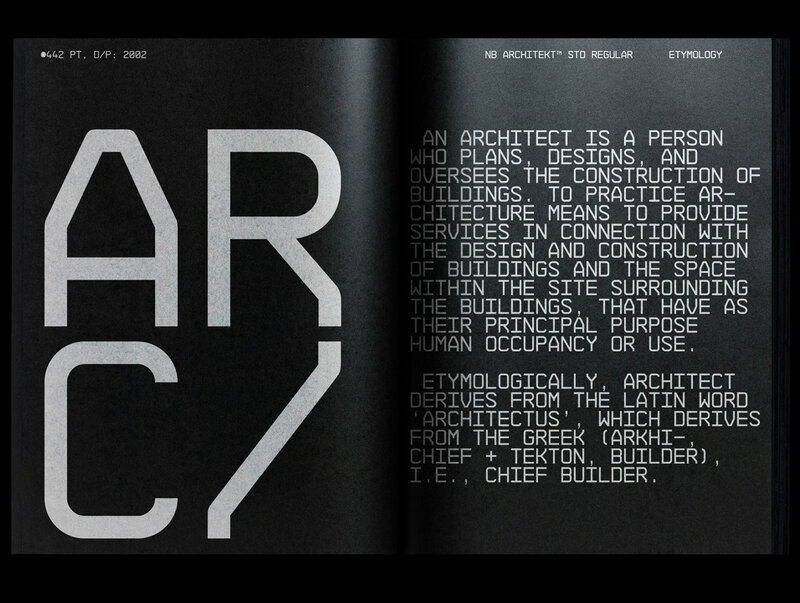 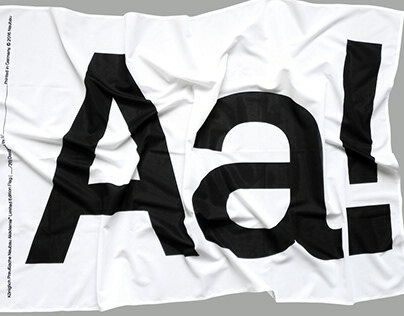 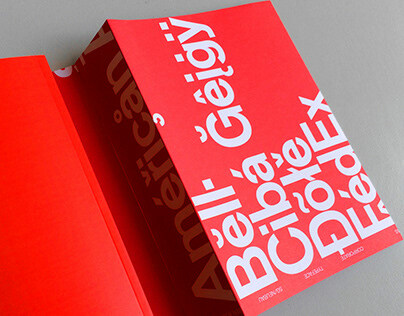 The typeface is a classic modern monoline monospace which was originally designed by Gandl in 2002 and named NB55MS™. 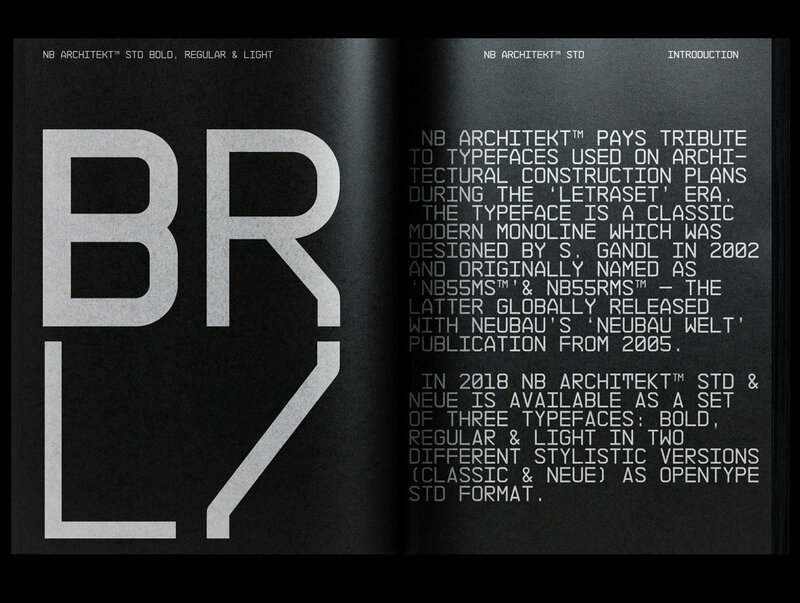 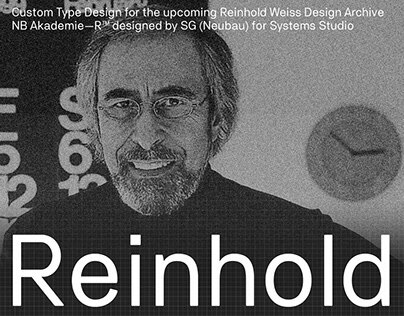 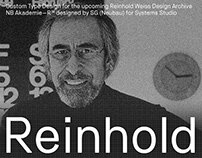 A rounded version named NB55RMS™ was globally made available with Neubau’s ‘Neubau Welt Catalogue’ publication in 2005. 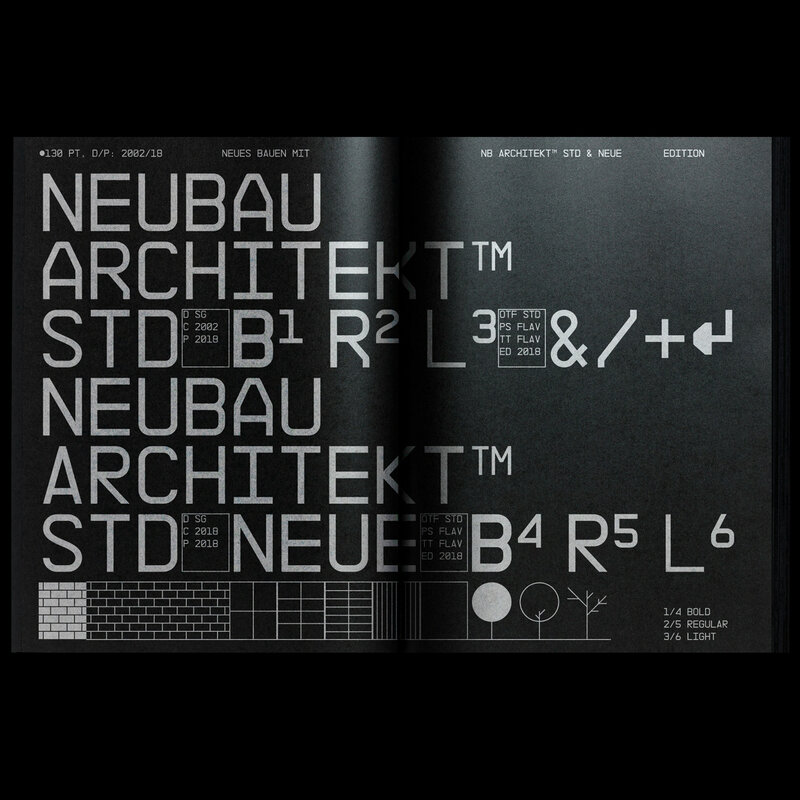 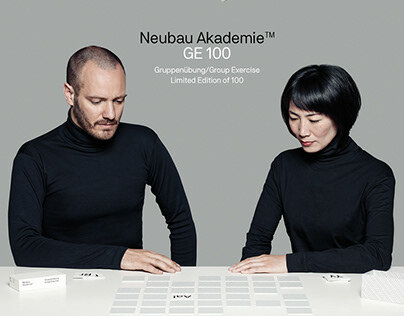 An additional style – a light version named NB 45RMS – became popular with the release of Neubau’s "Neubau Modul Catalogue’ in 2007. 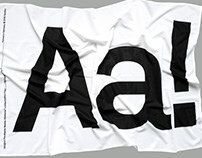 (Classic & Neue) in OpenType format for Macintosh and Windows platforms. 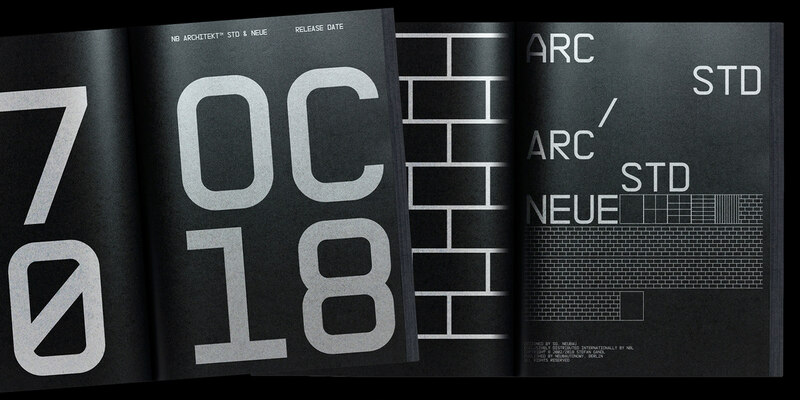 The 2018 Edition is available as a set of 6 typefaces/3 weights/2 versions (Classic & Neue) in OpenType format for Macintosh and Windows platforms.